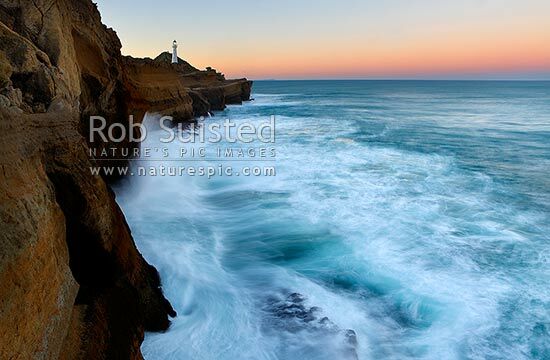 Castlepoint Reef with waves surging against cliffs at dusk. Castlepoint Lighthouse (1913) and scenic reserve. Sea movement blurred, Castlepoint, Masterton District, Wellington Region, New Zealand (NZ), stock photo.